I'm trying to figure out some options for my Mac Mini (latest version of Mojave). From what I've read, you can boot while holding down command-R Which lets you install the latest INSTALLED version of macOS on your mac (at present, that would be the same thing I have now), but won't upgrade to the latest version. But since I have the latest version already, it would be the same thing. I did this once and, sure enough, it booted differently so I guess that works, but it wasn't what I really wanted to check so I rebooted again. You can do Opt/Command-R which is supposed to update you to the latest OS compatible with your mac. I didn't try this one, but if it does work, it should do the same as the prior one on my particular mac. If I did it on my iMac which has the prior version of Mojave, I assume it would update to the newest one. I did not test this one. Which brings me to the problem one. Shift/opt/command-R is supposed to install the version of macOS that came with the Mac. I do not know for sure about the details. From what I've read, if you have a computer than came with High Sierra and then upgraded to Mojave, this would put High Sierra back on it. I do not know if you had an earlier version of Mojave and later upgraded, would this put it back with the older version. This is what I was trying to test, but it isn't doing what it's supposed co do, based on what I've read. I've held down those keys and I guess it did something because after booting, I only have one desktop rather than two. But it is supposed to show "macOS utilities" (apparently NOT the same as disk utilities). From there you can choose to "Restore from Time Machine Backup", "Reinstall macOS" (which is what I want), "Get help online", and "disk utility". Trouble is, I don't see these choices ever come up! Anyone know what I'm doing wrong? Or has Mojave now made it where you can't do this? Well this is odd. I decided to try getting to recovery with my TB using the dongle connection instead of the Apple keyboard. Seems to be working. Well, I finished the install, though my mac shows the same 10.14.3 version (the newest) that it had before. So either command/control/shift doens't actually take you back to the version that came with the mac (if it is just an earlier version of mojave) or when booting, it didn't pick up all the modifier keys. Wish I could check for you, but on my Mac mini (2012) the Recovery keys don't work, and I have never figured out why. I suppose I should borrow an Apple USB Keyboard and try it out. No BLE pairing on startup, so I can't type in the "unlock my volume" password with TextBlade, unless I use the Waytools dongle. A regular Bluetooth keyboard will let me "unlock my volume". When using the Waytools dongle, the TextBlade to dongle pairing is not established quickly enough to present any keys held down to the Mac. my Apple USB Keyboard is broken. probably I have some firmware password or some other odd NVRAM setting that I just can't clear. I also have a DIY Fusion drive, so I don't know if that messes things up. Sorry, wish I could provide more info, or even test those combinations. I know you have to use the dongle if using the TB on bootup commands because BT-LE doesn't seem to be ready soon enough. My wireless Apple keyboard would work too, but for some reason I couldn't get that last option to work. 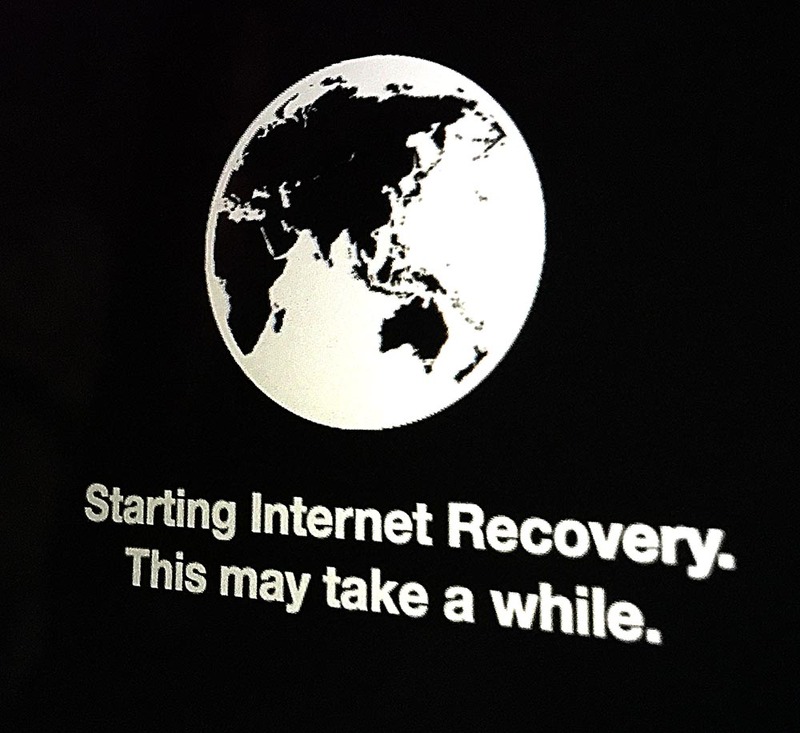 Maybe your old Mac doesn't have a recovery partition. It's a relatively recent thing. I think some past attempts to use the dongle on bootup was not always successful. Don't know if it is sometimes just too slow or if there is something about the exact timing of when you hold the keys down. I suspect if you have a DIY drive, it may not have a recovery partition. Recovery partition is not the issue. Built in FW goes and gets it from the web post 2011 devices. I forget the details in my reading but apparently there were different cabanilities over the years so I assume at some point there was a recovery partition but not the internet approach - or vice versa. I remembered I had a wired keyboard that I bought just for cases where BT connections were a problem - which apparently sending keys to the Mac while it is booting can have issues with considering my difficulty in getting it to work with both my Mac and TB wireless keyboards. So I did the command/opt/shift-R combo this morning with the wired keyboard and reinstalled again. Fortunately, I have 1 gb speed downloads speeds (well, less than that in real life) and an SSD drive so it only took about 30 minutes. But I still ended up with the latest Mojave rather than what it came with. So I think it must be that that command simply returns you to the latest version of the main OS level that came with your Mac. Since mine came with Mojave, I'll always get 10.14.3 (until the next version comes out). I want to make my iMac exactly the same as my Mini, EXCEPT leave the older version of Mojave alone. My iMac has the OS version I want to be able to go back to. I have an external drive which is a bootable exact copy of my internal drive from my new Mini (made with SuperDuper). With that in mind, I'd like to use SuperDuper to copy from that cloned drive to replace ALMOST everything on my iMac - everything except the OS, removing anything on the iMac that does not exist on the Mini so the iMac will be as "clean" as the Mini. But I don't know if SuperDuper can do this. If anyone knows, I could use some help knowing what the proper settings are. Dbk - it’s good to avoid the hassle of altering your current Mojave install on your mini. But your idea of making a bootable drive from your iMac is actually a pretty elegant way to compare the releases without disturbing your mini’s config. After your test, you can just unplug the bootable drive, and the mini will go back to its current config. So, a pretty noninvasive way to compare the releases. That's what I did originally (since the iMac had been my main computer up until then, I just used the clone of it to plug into the Mini so anytime I seemed to be missing something, I could check for it on my clone). But what I want to do now is not change the Mini, but clean up the iMac without changing the macOS version on it. After all, there is a lot of junk and duplication on it that I spent a LOT of time to get rid of and reorganize, etc, on my Mini. It would be ideal if I could transfer everything to the iMac which would also delete any files on the iMac I'm not needing now, but without also upgrading the OS. Then I'd have two essentially identical computers, differing only in the OS version. And since I have set up pretty much all documents stuff in icloud now instead of some only being on the computer, they should stay the same for most things. Just don't know if this can be easily done. I don't care how long the transfer takes. For one thing, I rarely use the iMac, but even if I did, I'd just let it run overnight. According to the people who make SuperDuper, it can't be done. At least not the way I was thinking. I suppose I could manually delete the User folder and copy the one from my Mini into it - and also look for any folders outside the normal locations on the iMac and delete those. Maybe at some point I'll give it a try after making sure I have an uptodate backup of it. My Mini only has 4 folders at the top level that are visible (Applications, Library, System, Users). Obviously "System" would be left alone. Applications could be left alone - just manually remove any I don't want and maybe copy the versions from my Mac that are NOT from Apple (so less likely to be OS version critical). Or just leave them all there in case I ever want to move old apps to my Mini. May have to leave Library alone as there are so many things there I don't know about. The User/My name folder maybe could be completely replaced. That would certainly be the main focus of any change anyway.